well as service & burner sales, the Vulcan brand has been expanding on a global scale with marketing tours, exhibition shows and a high input of investment into product R&D to achieve the latest innovative designs and products in the industry. 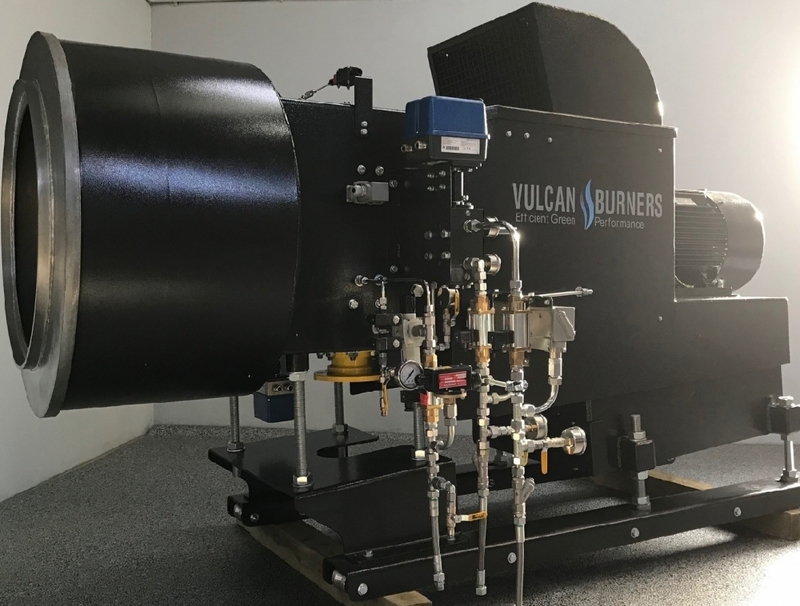 With R&D in mind and after recent successful projects, Vulcan are delighted to announce the launch of our latest products to our existing range, the Vulcan Surface Burner, the Vulcan Batch Burner and the Vulcan Eco-mode Pilot Flame. Each new product has been specifically designed with the customers’ needs in mind. For instance the Vulcan Surface burner has new features such as a double skin combustion box, enabling the heat to recirculate back into the burner blower, this feature facilitates the increase of length to the combustion zone which in turn increases production rates and reduced fuel consumption. Also due to the combustion box location, there is no impact from the material in the dryer increasing product longevity so no expensive replacements! The Vulcan Batch burner is a game changer to the industry, it has a forced draft flame, the batch burner also has a modulating flame feature which provides control of the maximum fuel output, this will provide huge fuel savings compared to the standard on/off flame cycling to current batch burners in the market. The design is compact with no linkages or levers which also provides ease of maintenance. Finally, the Vulcan Eco-mode pilot flame system, this is an optional addition to the burner which provides a direct fuelled pilot flame that provides up to a 96% fuel reduction when the burner is on tick over compared to 0% main flame. This can facilitate fuel savings of up to £4500.00 per year based on up to 1 hour of tick over a week! The Eco-mode pilot flame will come standard in the Batch burner series and can be an optional extra for all other burner series. Ian Lewis, Senior Engineer and Vulcan founder; “The new Surface and Batch burner series performances are exceptional, with burners already commissioned in the UK and North America, Vulcan is setting the standard for efficiency and quality on a International scale. More projects are currently in the pipeline for 2018 but we will keep them under RAPs for now…..